I can’t not pretend to love salad. In fact, I order it nearly everywhere I go. I always like to say that you can tell a restaurant not by its main courses, but by how it treats salads and vegetables. 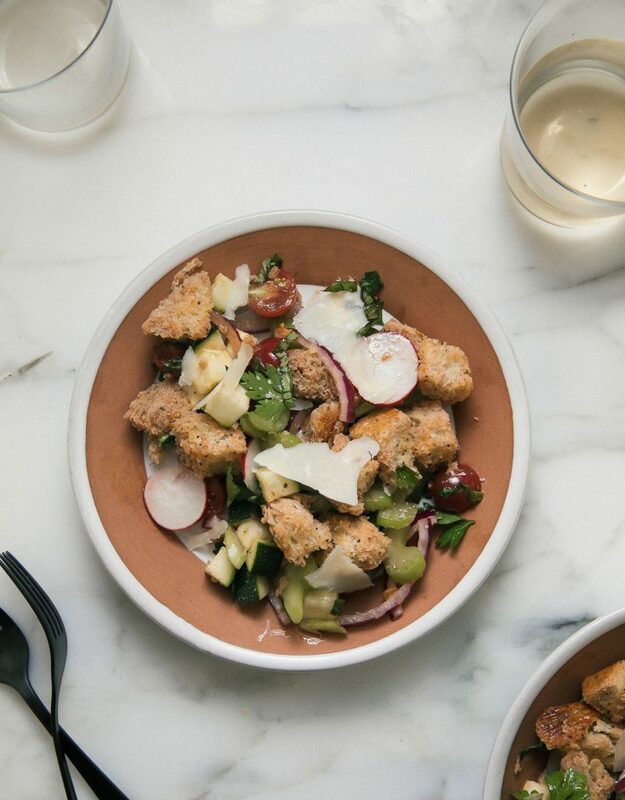 My recent favorite is the panzanella. All jokes aside, I love bread, duh. And it in a salad all cubed up is a welcomed edition. But I also love the contrast of the bread with super fresh and crunchy ingredients. It makes it summery and still cozy and warm. I know a lot of people think of pasta as something you eat in warmer months but I am personally a huge advocate for pasta in every season. And there are ways to lighten it up so it’s not a thick heavy ragu sauce. My favorite move is to add vegetables like zucchini and summer squash to pasta. This makes it healthy-ish! When I went to Japan, soba noodles were my absolute favorite meal. They were light and refreshing and something I felt like I could eat over and over and over. I’m going to be honest, when I came back to the United States, I told myself that I’ll never eat soba noodles here again because they’ll never ever compete with the ones in Japan. And I was right. But I couldn’t stay away for that long! My favorite cheese…wait, let me start over. My favorite Summertime cheese is definitely halloumi. I would describe halloumi as a salty cheese, similar to mozzarella, but with a harder more squeaky texture. The best part about the cheese is that it grills or pan-sears like a dream. Grilled pizza… this pizza is not without stress. But it tastes oh so good and it cooks in 5 minutes flat. One trick— I’ve found— to glorious grilled pizza is prepare, prepare, prepare! 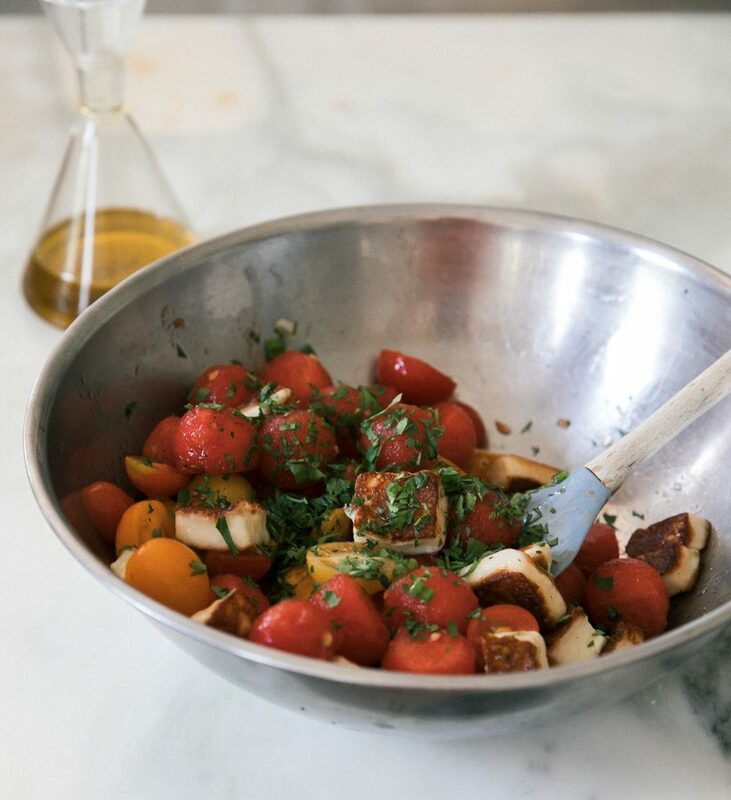 Get all of your ingredients together and prepped. Rub the pizza dough with olive oil and then place it on the grill. When it starts to bubble, you’ll know it’s done and then flip! I used to live in Echo Park, which is maybe my favorite neighborhood in all of Los Angeles. I used to walk to the lake and walk around with my dog. And while I usually wouldn’t carry my purse or anything like that, I would always make sure to carry a few dollars so I could get elote from one of the vendors selling street corn. It is SO good. It’s simple, too. A bit of crema, cayenne, lime juice on charred, freshly grilled corn. Watermelon is my favorite thing about summer. I know that sounds dramatic but it’s really true. I could eat it every single day of my life and never tire of how refreshing and tasty it is. While I love watermelon, I’m a bit picky about the texture. It needs to be crisp and perfect. The sweetness needs to be there too. Sometimes I’ll buy two watermelons and one will be a bit on the mealier side. When this happens, some would maybe just throw it out, but I would never do that!